FreePT. How It's Free. 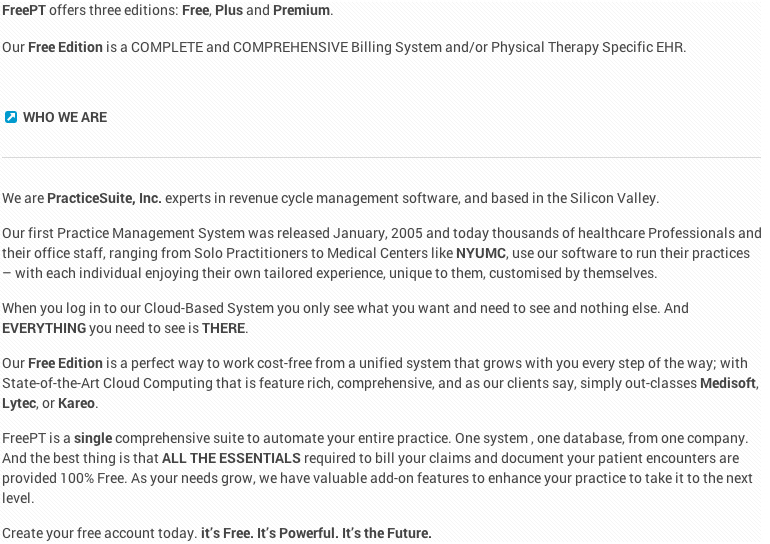 100% Free Physical Therapy Billing and EHR SoftwareWeb based Physical Therapy Software. Start for Free!